Spring has well and truly arrived, asparagus season is in full swing and some beautiful broad beans arrived in the vege box. 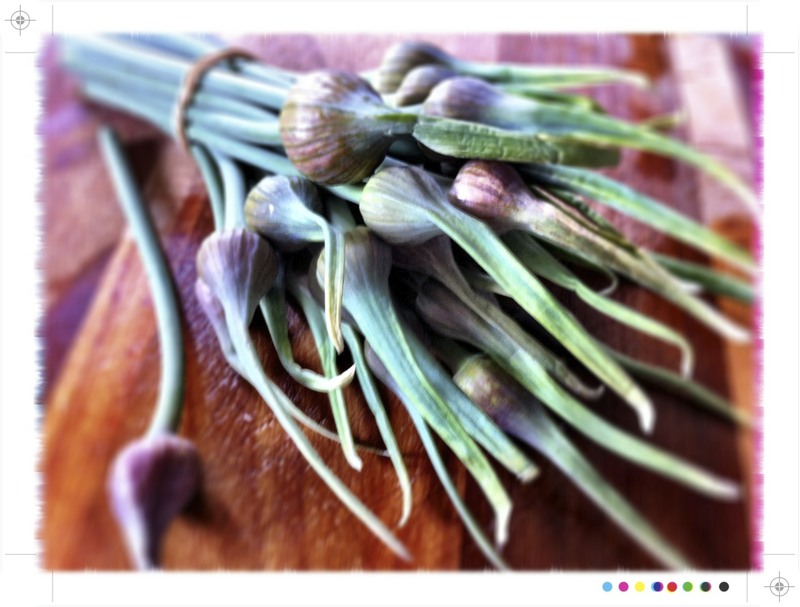 Two of my favourite spring ingredients that in some shape or form will be dinner tonight. 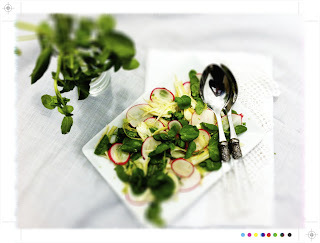 Last weekend it was fennel and radish making an appearance in the vege box and I was quite excited to come across some watercress at the local supermarket. 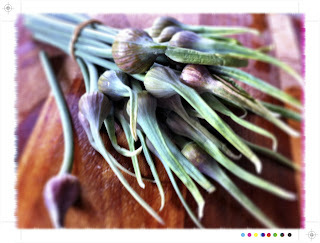 And then to add to the foodie excitement they had garlic tops at Huckleberry, the local whole food store. I have never used them before and I can't resist new things to try, so they were added to the mix too. All so bright and light and just waiting to come together in Spring salad. And to dress the salad, well I had been over at 101 Cookbooks reading about Roasted Lemon Chutney, which I can attest is delicious, with cheese or tossed through some pasta with grilled prawns. That is what gave me the inspiration for this dressing. I pilfered a few lemon slices destined for the chutney and made them in to a wonderfully lemony dressing, all mellowed out from the roasting. Pre heat the oven to 205C/400F and line a baking sheet with baking paper or a silicon sheet. 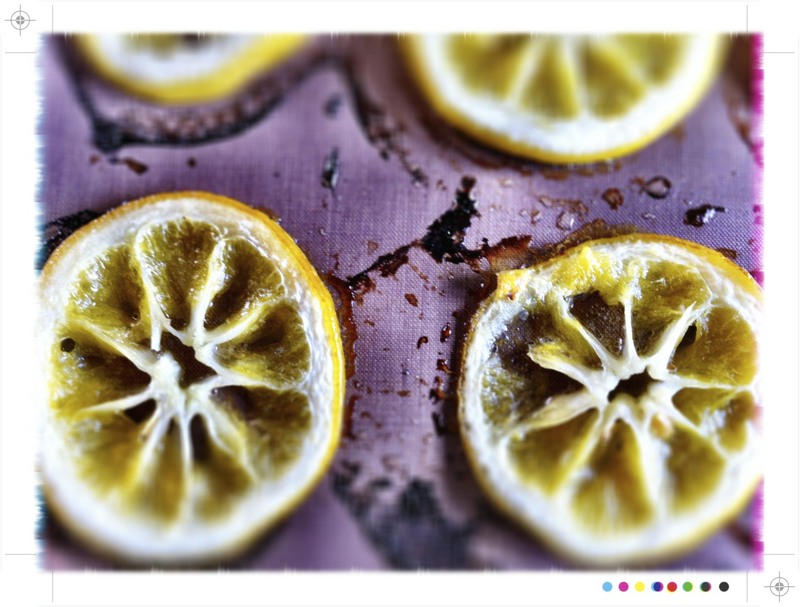 Slice the top and bottom off the lemon and discard. 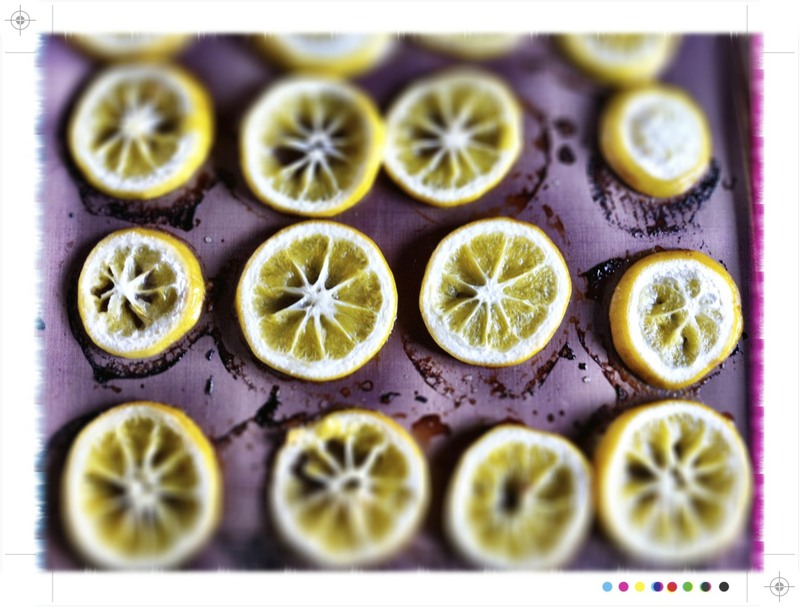 Slice the lemon in to 1cm thick slices and remove the seeds with the tip of a sharp knife. 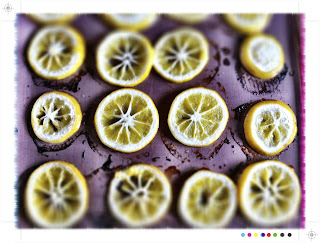 Place the lemons on the baking tray and brush with olive oil. Place the tray on the oven and roast for 20-25 minutes until they are soft. Turn over after 10 minutes and keep an eye on them as you don't want them to brown. 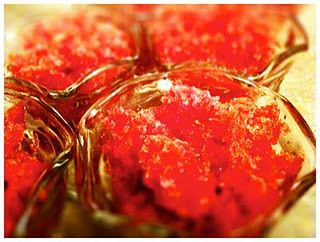 Once roasted let them cool for a few minutes and then pop in to a food processor with all the other ingredients. Whizz until smooth and taste. If need be add a little more honey or lemon to taste and set aside. It will be quite a thick dressing but just a drop or 2 of water will loosen it. 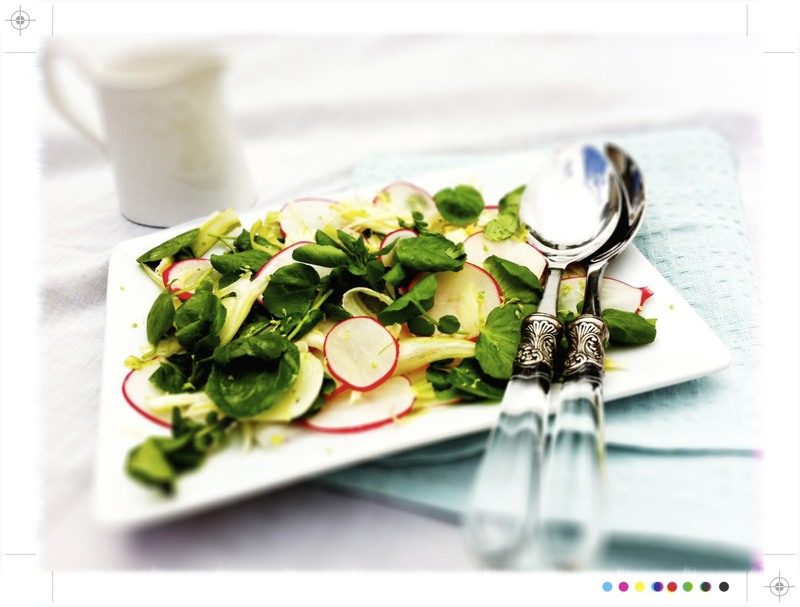 Thinly slice, as thin as possible, the fennel and radish and place in a medium sized bowl. A mandolin would be great, may have to see if Santa will be kin enough to find one for me this year. 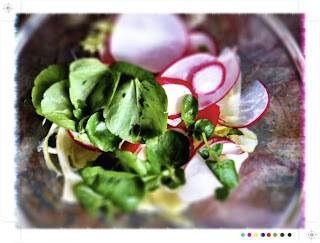 Tear the leaves off the watercress and add to the bowl and toss together with the fennel and radish. Season with salt and pepper. Add just enough dressing to just gently coat everything. We are aiming for a fresh, crisp salad. Place on a platter and sprinkle with the chopped garlic tops if using. Serve immediately. 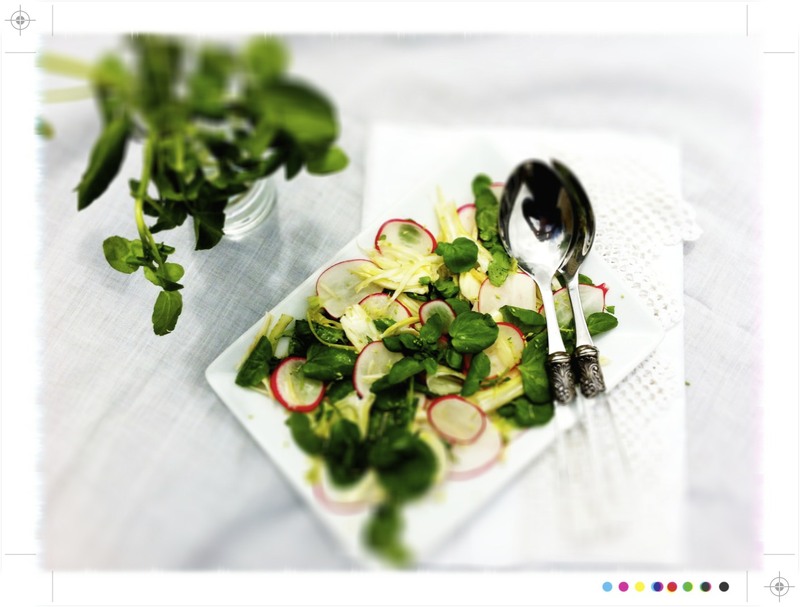 Pretty as a picture, crisp, crunchy, green and white flecked with the pink of the radishes. The subtle aniseed flavour from the fennel and then the peppery watercress make for a great combination that is all bound together in a mellow, lemony coat. Perfect on its own, even better with a nice chilled glass of vino. 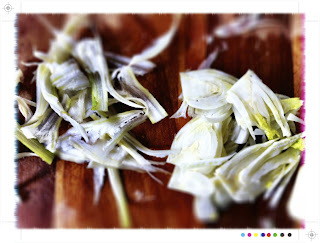 I am loving fennel, - roasted, pickled, raw. It's great stuff. The vinaigrette sounds interesting. 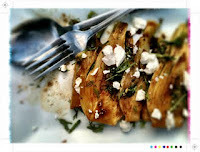 @Alessandra Thanks Alessandra, yes the garlic tops were a good little find, so much flavour & becoming quite a fan of roasted lemons. 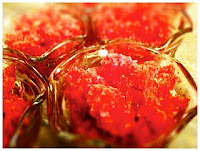 I love the way you really work with the ingredients you have or find. I spied a fennel bulb in the garden which will be ready this week so I think I'll have a go at this (garlic tops not ready yet!). 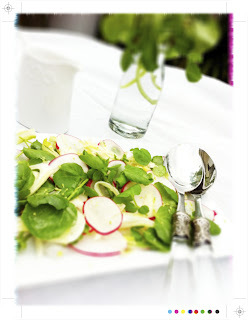 BTW, I loved your write-up on NZ Food Bloggers Conference - the food sounds just amazing! This is looking particularly appealing right now...I've been indulging in too much pre-Thanksgiving taste testing and I am craving something light and delicious like your salad! I am always impressed with how you manage to conjure something so tasty-looking out of ingredients that (to me) are only marginally inspiring! 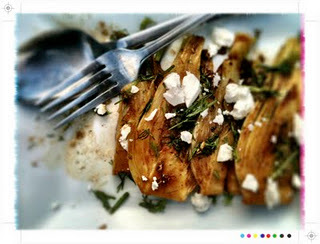 @Lana Thanks Lana, I have always loved fennel. The conference was so much fun...I just want to go to more & more! Maybe one day over your way! Yum - I have radishes in abundance right now, so I definitely need to make this. 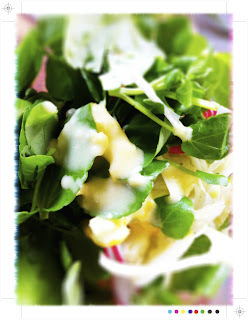 Love the idea of the roasted lemon dressing. I bought a mandolin a couple of months ago, and now I don't know how I ever lived without it.